I have mentioned on Celestial Brotherhood, and various other articles across the Freemason community, a revolution is on the verge of breaking out in our Craft. Please remember, this is not a revolution that involves guns and bloodshed. Instead, the revolution is and will be a peaceful one, which is quite necessary for the Fraternity to successfully advance. We are not here to fight the old way of doing things, instead we are trying to improve things. There will always be undertakings that have worked in the past and are still relevant today. Some Grand Lodges are helping to quickly facilitate the changes, while others appear to be more apt to stifle rather than support these coming changes. As Aristotle said, “The secret of change is to focus all of your energy not on fighting the old, but building the new.” If we want this change, we will have to work for it. The sooner we realize this, the easier the change will come and the brick wall of change will crumble. Everyone involved needs to be willing to compromise. It is important to impress upon those hesitant to support the coming changes that we do not seek to fight or eliminate the established traditions, but to improve upon them. There will always be work that has been successful in the past and continues to be so today. We are all responsible for the wall that is prohibiting us from moving forward into the Twenty-first Century. The brick wall preventing us from progressing has been laid for years. We are constantly applying more mortar and laying more bricks with each passing year. It is not solely put up by the stereotypical grumpy Past Masters or other members who oppose any changes; it is collectively built by all of us. Even those who appear to be progressive. In order to take down that wall— make the change that is needed— we need to stop fighting and forcing our thoughts down everyone’s throats. Instead, be subtle about the change. Baby steps work better than giant leaps. Rather than eliminate and change, alter what exists to improve upon it. So, your lodge really enjoys having the pancake breakfast, but it is not as productive as you would like to see. Make a suggestion to the brethren of your lodge to make the pancake breakfast the main event, but have other ways of fundraising within the breakfast. For example, a raffle drawing is a great way to get people interested in donating more to a cause. Why not have your pancake breakfast and pass around the raffle tickets while at the breakfast? Another great idea was presented at the 16th District of Ohio’s rollout plan. This district has proven just how far our Fraternity is coming along. It is a very progressive district and is looking to find more efficient and effective ways to engage in fundraising while making it’s presence known in the community, something about which will be further detailed in coming articles. The idea that was brought forward at the district meeting was to make booths to sit at in the local fairs. Not cheap cardboard booths, but something that would last. They pulled the funds together to afford the wood, and used the labor from the lodge to build these booths. Because it is a booth that will last, they will have the booths readily available at anytime and can be used for more than just the local community fairs. It puts them outside in the community and allows the people to see them. It takes work, it takes dedication and most of all it takes time. Some times that’s more than what we are willing to give to the Craft. It is understandable that busy schedules can keep one from working inside Freemasonry, but consider the lesson of the 24-inch gauge and work accordingly. When the Fraternity finally get past all the hiccups of dedicating time, money, and work, the only thing left in it’s way will be members calling for change, but being unwilling to provide the change. For effective change to happen, one needs to stop telling his lodge that they want change, and, instead, needs to begin providing it. Each Brother can, individually, take a brick out of this wall— collectively tearing it down together with old and new ways of work. I don’t know how everyone feels, but I would assume that most people are of the same mindset that carrying a balance with a creditor makes them uneasy. If you think I am talking about financial transactions you are partially correct. I hate debt, with a passion. However, the monetary type is not the context of this article. What I want to ask you, the reader, is what do you do with the Moral Debt that you accrue with others. Sure some instances are easily handled in a “this for that” justification, but what of those debts that we run up that can not be repaid? If you read my piece on The Midnight Freemasons for Mother’s Day, then you know that we begin our being indebted to our mothers. They care for us within their own body and nurture us from the same. I guess that is why I hold mothers in such high regard. To me there is not much greater or noble a purpose than to bring another life into this world. As a paramedic, I delivered my share of babies in the ambulance, (I blame my partner for not driving fast enough to the hospital) I have even delivered one in a home. What can I say, some things in life are on their own time schedule. All the joy that comes from that, or even having my own kids pales in comparison to being the one that carries us into this world. People say that pregnant women “glow”, well I don’t think that the glowing goes away after delivery. There is just something unbelievably beautiful about a loving and caring mother that I can not find the words to explain. This is certainly a debt that is in no way able to be repaid, no matter what you may do or how hard you may try. How do you even this account when you can not repay it? Then there are your father’s and the other great men that come into your life. I owe every sense of the man that I am to my father, his father and the Brethren that came in to my life long ago. The skills, wisdom and advice that they imparted while trying to shape you into manhood and make sure you take a good path in life, rings up a tab beyond your ability to payback. How do you reconcile that before their time in this life is over? If you want to know who your REAL friends are, go through some serious troubles. The ones that stand next to you while you are taking direct fire, or hold you up for that matter, are your REAL friends. You will be amazed at how short that list gets in a hurry. It is understandable that given certain situations, some people may feel that a sense of self preservation or “not wanting to get involved” is more persuasive than the need to help a friend. That is fine, but it is the people that just cut and run at the first sign of trouble that amaze me. The ones that prove they are willing to stay by your side no matter what, those are the ones that really matter going forward in life. I know I have a few friends that stuck by me when the waters ran deep and cold. Most assuredly I would not be here today if it was not for them. They may or may not know the extent of the debt that I feel I have on the ledger with them, but I know it. If they needed an organ transplant I would be the first one in line getting tested to see if I was a match. If they need a kidney and I had one left, they could have it, no regrets. Even after giving them the gift of continuing their life, I would still leave this world with a debt due to them. How do you make good on that kind of note? What of our fraternal family? This Craft has done more for me than I can put into words. The friendships and true family that I have found through virtue of being a Mason is astounding. I have Brothers all across this great Country that I have been beyond blessed to have met and accepted by. And I look forward to meeting so many more, as I have no plans to stop traveling in foreign lands. There is no possible way to even begin paying down that debt. There is another type of debt relationship out there. If you are familiar with the Movie “Gone In 60 Seconds” , then you are familiar with the term “Eleanor”. Not the car, but the idea that there is this one tangible thing in your life that, no matter how hard you try or how good you think the decisions you are making are right, you just can not get it right. Usually that ONE person in the world that you meet and there is just a draw or a need to be involved with them, at any level? You see them for the first time and you feel like you have known them for hundreds of years? Either meeting through work, groups, friends or just seeing them from across a room you get this feeling of a deeper, almost celestial connection. We just seemed to have this bond, there was never boredom, no matter how long we talked into the night. There was only excitement and that weird butterfly feeling when we got to see each other. All seemed to be right with the world when we were together. Through the Craft, I found my Eleanor. I just was too young and dumb to realize what I had and I let her go 20 years ago. Literally, the one singular regret I have in my entire life is letting her go and not maintaining some sort of relationship with her. After a feeling of just needing to find my Eleanor, just to see how she was and what she was up to, I started to look around and see what I could find. Every tip and trick I knew led me nowhere. Every so often I would try again, but it wasn’t until I told one of my best friends about it in a casual conversation then suddenly, my Eleanor is back in my life. And she is even more beautiful now than she was before. Funny part, we picked up right where we left as though 20 years ago was yesterday. I do not know if I will ever be able to repair the damage I have done. I don’t know if I am even worthy of the relationship that we have now, I certainly don’t feel as though I am. I felt that I was out of my league 20 years ago, I am not sure if I am even on the same planet today. There are some that say sometimes just being there is enough. I do not believe it to be enough, but it is a good start against the debt I have. I am very accepting of this explanation and look forward to whatever type of relationship I can reforge moving forward. I would like to think that all my journeys and education throughout my Masonic life has prepared me to be the person that I should be. The person that my family and friends need me to be. I try to apply the lessons and uses of the working tools every day in everything I do. I have learned to subdue my passions, live on the Level, by the Square and of the Plumb. Making sure to take equal measure for service to God & the Craft, to Work and to have refreshment. I may not have the perfect Ashlar yet, but it is certainly more refined and a better foundation today than it was decades ago. To say the least, I am governing myself accordingly. I will continue to forge forward, attempting to pay down the debts that I have accrued, knowing full well that I may never be able to balance the ledger before that time when I am called to that inner chamber of Temple by Supreme Architect of the Universe. I will bear that burden for eternity. Accept what is, let go of what was and have faith in what will be. Always find time for the things that make you feel happy to be alive. Bro. Brian Schimian is Life of Member A.O. Fay #676 in Highland Park Illinois and the Medinah Shriners - Lake County Shrine Club. Bro. Brian became a Companion of the Royal Arch Masons in 2014 and was also the Past Master Counselor of DeMolay - Lakes Chapter in 1995. Brian is a father of two children. "Start Square, Finish Level"
My wife and I determine how stressful our lives are by how early we start dreaming of escaping to the north woods of Wisconsin. This year, the dreams started in early December, which is a new record. 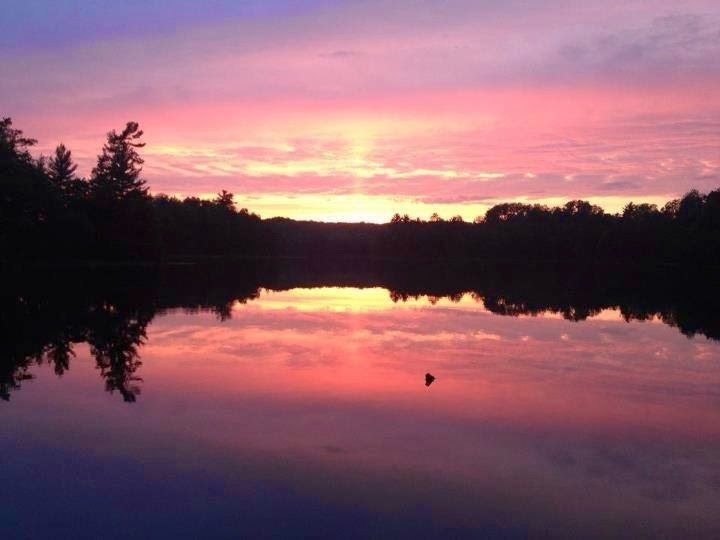 So on May 31st, we packed up the new van (the old one had been totaled by a hailstorm that made the Weather Channel’s national broadcast), and drove to YMCA Family Camp Nawakwa in Lac du Flambeau, Wisconsin. As always, the stress bled away the further we drove, and by the time we arrived there, we were feeling great, unpacked, and headed straight to bed so that we could sleep as late as we wanted (with kids, animals, and jobs, we don’t get to do that much). The mosquitos were bad this year, so we mostly stayed indoors, reading, relaxing, and playing UNO (my eight-year-old daughter is a demon at the game). But on Wednesday morning, the first Wednesday of the month, I had a stated meeting to get to. I’ve been attending the June stated meeting of Island City Lodge No. 330, F & AM, since 2012, but this was my first year as a member. I’d petitioned for plural membership at the request of the Master and several other members, and was duly voted in, so I was quite excited to be there. My lodge polo shirt and dues card were waiting for me, and I was able to look and be fully at home. Worshipful Master Dave Imlah was the only Brother present when I got there, and we had a chance to catch up. I asked if they’d had any degree work lately, and he told me that they had just had a First Degree, but they hadn’t been able to finish it, because no one there had been able to give the Entered Apprentice Lecture. I was curious about that, because I’d never heard of that lecture. It turns out that the EA Lecture in Wisconsin is what Illinois calls the Explanatory Lecture, and that they’re not different in any material way. I told Worshipful Brother Imlah that I’d be happy to do the lecture if it would help out, which seemed to intrigue him. He told me he’d check on whether that was allowable and let me know after he returned from Grand Lodge that weekend. The stated meeting itself was fun, since I could now vote on things from the mundane (approving the minutes) to the sublime (electing the Worshipful Master’s son to affiliation with Island City Lodge). After a long meeting (no one is ever in a hurry to leave), we parted on the square. Breakfast at the lodge on the following Wednesday was pleasant, especially since Worshipful Brother Imlah told me the Grand Secretary had no problem with my giving the lecture to complete our newest Brother’s First Degree, so after the meal we repaired to the lodge room and opened solely for the purpose of the lecture (Wisconsin ritual allows that). At the Worshipful Master’s invitation, I ascended to the East, received the Master’s hat, covered, invited the candidate to stand in front of me, and gave the lecture. There are few things I love more than our Work, and the circumstances here made it an honor to do it. I’m pretty sure I didn’t make a mistake, but as Most Worshipful Brother Terry L. Seward says, our work doesn’t need to be perfect; it just needs to be impressive. I hope it was, but it was sufficient for the purpose at hand, and our newest Entered Apprentice was able to sit with his mentor to begin preparing for his Second Degree. They were deep in conversation when I left. As I was heading to my van, Worshipful Brother Imlah suggested that he might ask me to provide some Masonic education on some aspects of Illinois ritual on my next trip north, and he promised to come south to Tuscola for a visit to my home lodge (“I need to see how you crazy guys do things down there,” was the way he put it). I’m really looking forward to his visit, and already have plans to take him to a degree or two. That much Masonic fellowship may even calm me down enough that I won’t start dreaming of my vacation until January. So since 1638 we have seen a correlation of Rosicrucian and Masonic Myth being merged as the Speculative Craft incorporated Rosicrucian Teachings into its System. At this point in time Operative Guilds operated under two degrees Apprentice and Fellowcraft. There were two types of Masters at that time, which would be either the presiding Officer of a Lodge or the Mason who was granted the contract for the construction job and was named the Master of a job site. So Master was a temporary position of administration documented but there is evidence of early practice of the Master Mason , Mark Master and Royal Arch degree before actual documentation of such. This Master Mason Degree is quickly absorbed into the Speculative United Grand Lodge of England and embraced as a part of the Masonic Ancient Craft Legend. The Master Masons degree is made public in “Masonry Dissected” in Oct 20, 1730 which gives clear evidence of the creation of the Third Degree. In 1743 in London is the first evidence of the Royal Order of Scotland. Bestowing the order of Knight of the Rosy-Cross and Knight of Heredom, who’s symbolism of a journey to a sacred tower is very similar in nature to symbolism of the Chemical Wedding of Christian Rosenkrutz. But within this Rosy Cross degree the initiate received the “True Word” to replace the substitute word. “This would tend to prove that before the legend of Hiram Abiff was introduced into the Master’s Degree the True Word was communicated in the Master’s degree and not a substitute Word.” (Past Grand High Priest William F Kuhn, The Necessity of the Royal Arch to the Master Mason) This means that the True Word was removed in the Master Mason’s Degree and the mythos of the Lost Word was adopted into the developing High degrees. This places the Royal Arch degree as equal importance to the Master Mason degree because it restores the True Word and Rosicrucian Teachings. Dunckerley was a member of the Royal Society and an avid student of Rosicrucianism and was also the assistant to the astrological and Alchemical work of Issac Newton, a fellow Mason and Royal Society member. So from the very inception of the Speculative Craft Royal Society Members placed Rosicrucian philosophy at the heart of Masonic allegory in the development of the High Degrees. Masonry sought to take the most basic tenants of Rosicrucian teaching and veiled it under a new allegory of symbols in order to make it more practical for the Reformed Europe. 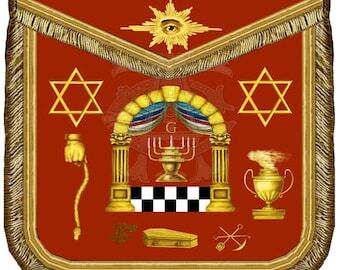 But the true understanding of Royal Arch Masonry lasts in the interpretation of its symbols through the lens of Rosicirucian teachings which has its roots in ancient Kabbalism and Hermeticism. I recently reviewed an Associated Press Poll that was conducted with GFK Public Affairs & Corporate Communications group in a survey of the general American population and their opinions on how much they trust other persons. The first question “How much of the time do you think you can trust the government in Washington to do what is right?” - 81% of the person’s survey said “Only some of the time”. This was not surprising to me, considering the recent government shut-down, problems with the Obamacare website and just a generally low opinion of those in the Congress. The last question in particular, gave me pause to think. What are my interactions like with others I come to meet for the first time? Do I need to have my guard up all the time? Should I live in fear and paranoia? Ronald Reagan was fond of saying “trust, but verify” that I apply often. But really, only 19% of the US population feels that they can trust others they don’t know? Our country has been built on trust, but it appears for many that this trust is slipping away. Have we become too isolated sitting at home behind our computers? Are your only friends on Facebook? Are they nothing more than an electronic record that you interact with? Is the store clerk where you shop more likely to be thief than a trustworthy person? How do the results of the survey compare to our experience as Masonic brothers? After all when we enter the lodge the first time, it is in the hands of “true and trusty brother”. My belief is that one of the greatest experiences of our fraternity as you come through the degrees, is learning to put more trust and faith into the one’s guiding you on your path to further light. After completing the three degrees, you really start to gain an understanding of what this trust in one another means. The strength of our fraternity is the common bond that we share with one another, the same shared experiences that have transcended the generations, that same trust from one brother to another brother. 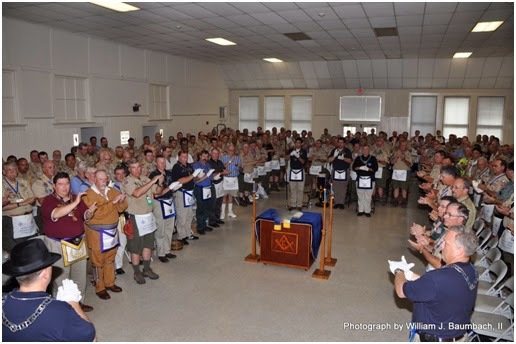 At the 2010 National Scout Jamboree I attended a lodge meeting with Scouters and Brother Masons from across the country, under the guidance of Fredericksburg Lodge No. 4 of Fredericksburg, Virginia. “So that I may work in foreign countries, to work and receive Masters Wages…” We have all heard these words, but really what do they mean? In my opinion, it is the ability to visit other lodges, having the privilege to sit in lodge with fellow brothers, men who may be total strangers, but with whom you have an instant trust with, simply because of the common experiences we all share as brother Master Masons. 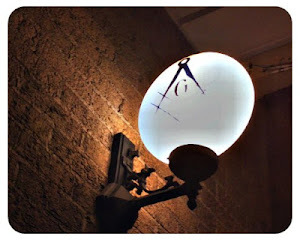 I am sure we all have stories of making connections with others that began when you discovered each other were masons. Perhaps you have attended a Masonic funeral for a brother, whom you never had personally met, yet you came because of that shared bond. You had a conversation with a person whom you nothing in common with except Freemasonry and that led to a deep friendship. 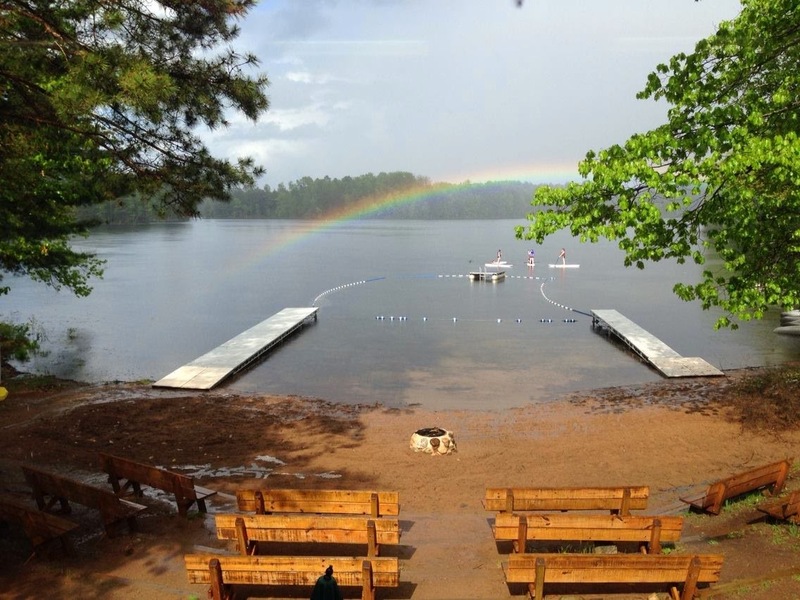 One of my personal favorite stories – I was a staff member at the 2010 National Scout Jamboree held at Fort A.P. Hill for the 100th anniversary of the Boy Scouts of America. I was housed in one of the base army barracks. The first day I arrived, I was sitting on my bunk putting things away, when a Scouter whose name was Tom and assigned to the bunk next to me introduced himself and said “I see you’re a sojourner.” Tom had seen that I was wearing a Masonic ring. We instantly had something in common and became great friends. Though we live in different parts of the country, I have kept in contact with him and was able to visit in him at his home in Seattle last year. Three years had passed, but it was like I had just seen him yesterday. If you question what Freemasonry still has to offer the world and to those individuals who seek out membership within our fraternity, take a moment and consider Freemasonry as the ultimate social network across the world. Brothers whom have been “pre-screened” before they entered the west gate and have been initiated, passed and raised under the same obligation you took, to be your brother. In a society that says they are trusting fewer people, isn’t this exactly what we need more of? So the next time, you are speaking to a potential candidate on why they might consider joining Freemasonry, talk to them about the trust amongst the brothers. Trust, the very thing many people say that is lacking in society. The answer might be right in front of them, Freemasonry.